High in the Willamette National Forest, Waldo Lake is tucked in a glacier-carved valley amidst pine trees and huckleberries. Revered among Oregon canoers and kayakers, Waldo is one of the clearest lakes in the world; it has no permanent inlets beyond snowmelt and lacks the nutrients needed for significant plant growth. Visibility here reaches depths of up to 150 feet, occasionally an eerie phenomena, such as when you glimpse watery shadows of your canoe on the lake floor far below, or see stumps of trees, ghost-like and covered in silt, deep in the water. 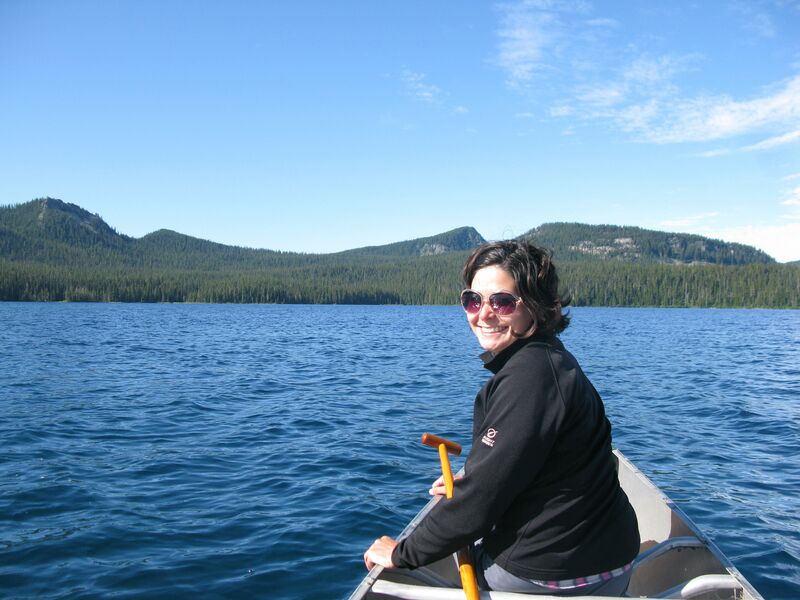 My family began annual trips to Waldo Lake more than 20 years ago. 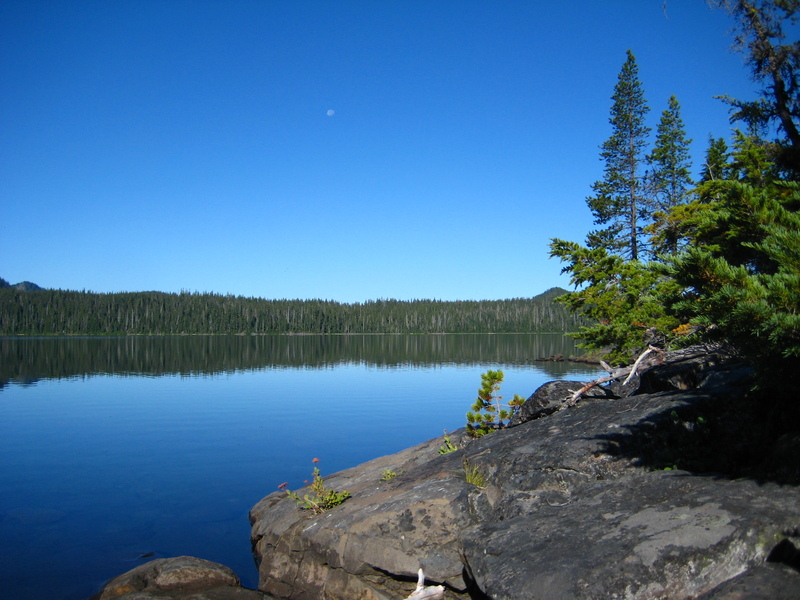 When we first visited Waldo Lake, I was ten and my brother was six. Every August, we marked the end of summer by camping at Waldo. It’s one of my favorite places in the world, and I’d not been back in six big years. Anticipating long hikes through dappled sunlight and slipping the canoe quietly across cobalt waters, I told Patrick detailed stories about Waldo’s impossibly blue depths, where in the morning the hollow kunck of a paddle against an old aluminum canoe echoes across the still coves. Instead, we encountered swarms of mosquitos in such buzzing, whining, biting quantities neither citronella nor head nets nor even DEET protected us. Never in all our years at Waldo have we encountered bugs in such formidable numbers. We swatted and swore and pondered the mosquito – how long does it live? How many eggs can it lay? What does it bite when poor innocent campers aren’t around? We did canoe, and it was beautiful, but not quite the idyllic scene I’d painted. We always camp at Shadow Bay, F Loop, a pocket of the lake that offers a small beach and two islands. When we were kids, my brother and I canoed out to the larger island and marooned ourselves, building forts and kingdoms, catching frogs to act as our subjects. Standing on the island this year, view exactly the same as I remembered, I keenly felt the distance from my childhood. Like a double-exposed photo, I could see images from all my years here piled on top of one another, and felt if I turned fast enough I’d catch my brother careening down the hill on his black and red BMX bike, or see myself heading down the trail to my favorite rock, book tucked under my arm. I’m not sure why it’s Waldo that brings this flood of memories – perhaps because I went so regularly, or because it is so unchanged. The years here feel distinct and jumbled all at once. Though I don’t know when I’ll be back, I can already imagine stories about this Year of the Mosquitoes incorporated into family lore, to be told and retold around the campfire in distant Augusts yet to come. 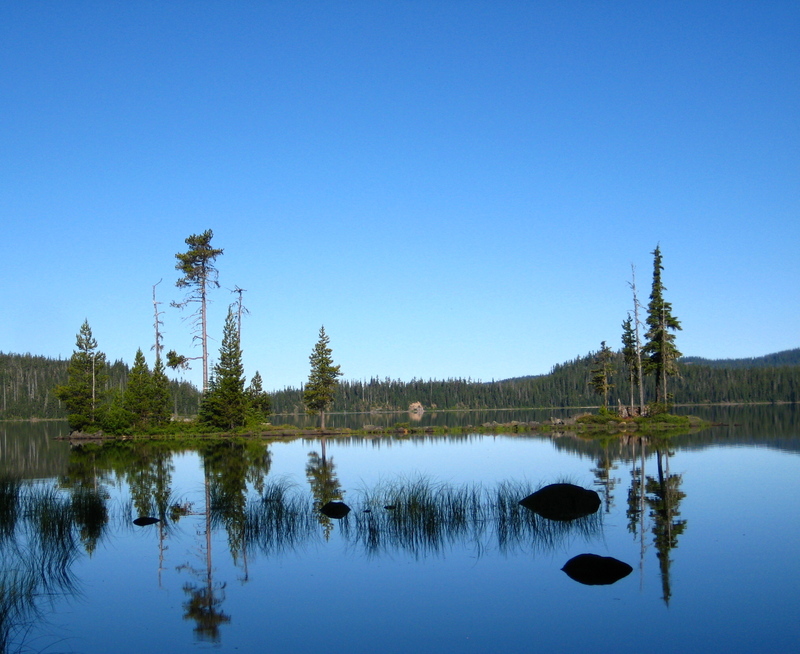 This entry was posted in Adventures, Campsites and tagged campsites, nostalgia, scenery, Waldo Lake by Propane Kitchen. Bookmark the permalink. Well done Aimee. I started swatting away the mosquitos as I read! Love the mosquito net pic. When are you guys hitting the playa? the mosquitos, it still makes me take a deep breath of pine scented air and feel like I am just where I should be. When I have trouble sleeping, I take the walk down to the lake to wash my face in the cool water and then watch the water droplets fall into the still water, as I gaze around and appreciate it all. 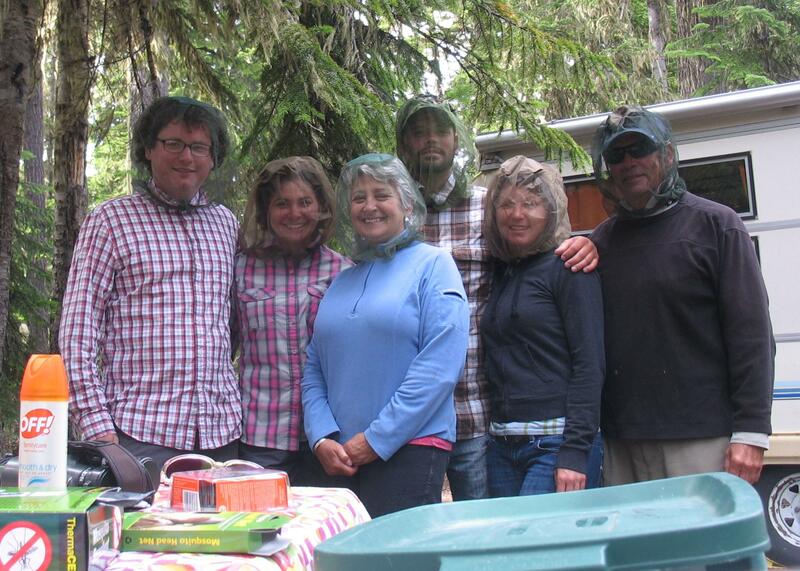 It was such a treat to have you & Patrick and Brian & Teara together with us at Waldo. We even had fun and were able to sit outside thanks to Patrick’s screen tent.